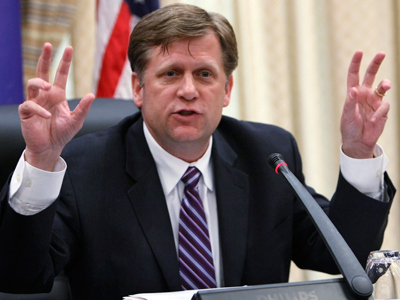 The new US Ambassador to Russia, Michael McFaul, may have a more difficult time than his predecessors did at the height of the Cold War, says former foreign minister Igor Ivanov, who is now president of the Russian Council on International Affairs. "In a certain sense, it can be said that McFaul and his Russian counterparts are facing more difficult tasks than those that existed at the time of the Cold War," Ivanov wrote in an article published in the Friday edition of Rossiyskaya Gazeta. Ivanov said that the Americans and Russians had a clearer understanding of each other during the Cold War period, whereas today a new foundation for bilateral relations has yet to be created. During the Cold War, “Russia and the US at least had a decades-tested mechanism governing bilateral negotiations and consultations and the foundation of our relations was clear to both parties,” Ivanov argued. “That foundation has now been destroyed and the new foundation has not been built yet, unfortunately." "As a result, our relations still depend on the political situation and even the START III Treaty, an obvious achievement of the ‘reset,’ may now be jeopardized," he said. Ivanov compared the Russia-US relationship to riding a bicycle, which requires a constant speed in order to maintain balance. 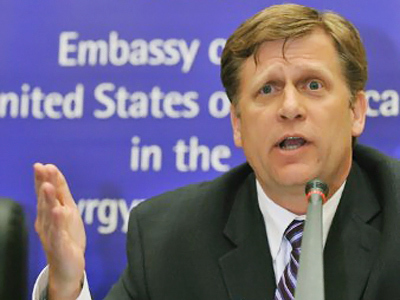 Given the constant energy required, Lavrov said McFaul would not have an easy life during his tenure as US ambassador. "Russian-US interaction is like riding a bike: the slower you go, the higher the risk of falling. In the year of the presidential elections in the US, it is also like riding uphill, when you have to press the pedals at least twice ashard just to keep up the pace. 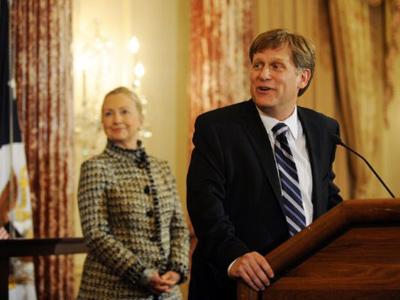 This means that the new US ambassador will not have an easy life in Moscow," Ivanov said. Indeed, the heightening of mistrust between the United States and Russia should naturally concern Ambassador McFaul, who was one of the leading architects of the reset for the Obama White House. One of the more serious obstacles preventing a full reset between Moscow and Washington remains the question of US missile defense in Europe. Although viewed in Russia as a potential threat to national security, with a high potential to spark another arms race, the United States refuses to provide legal guarantees that the system will not be directed toward Russia in the future. During an appearance before a Senate hearing prior to his appointment, Ambassador McFaul himself reiterated Washington’s position, saying there would be no legally-binding agreements with Russia over the controversial system. It remains altogether incomprehensible that the US would intentionally provoke another arms race with Russia in order to defend Europe against a hypothetical missile attack from a "rogue state," usually identified as Iran. The US seems willing to sacrifice its invaluable partnership with Russia so that it may protect the western flank of Europe with a weapons system that may not work against an enemy that may never have the ability to launch an offensive strike in the first place. If this is not the political theater of the absurd, then what is? Clearly, few Western politicians seem to have learnt anything from history, even recent history. Similar to the days leading up to World War II, when Europe was faced with an insuperable threat coming from Nazi Germany, Russia is once again being sidelined as if it were of no consequence. But just like in the last world war, when Russia almost singlehandedly destroyed the retreating Nazi army, such sentiments could easily come back to haunt the US and NATO.